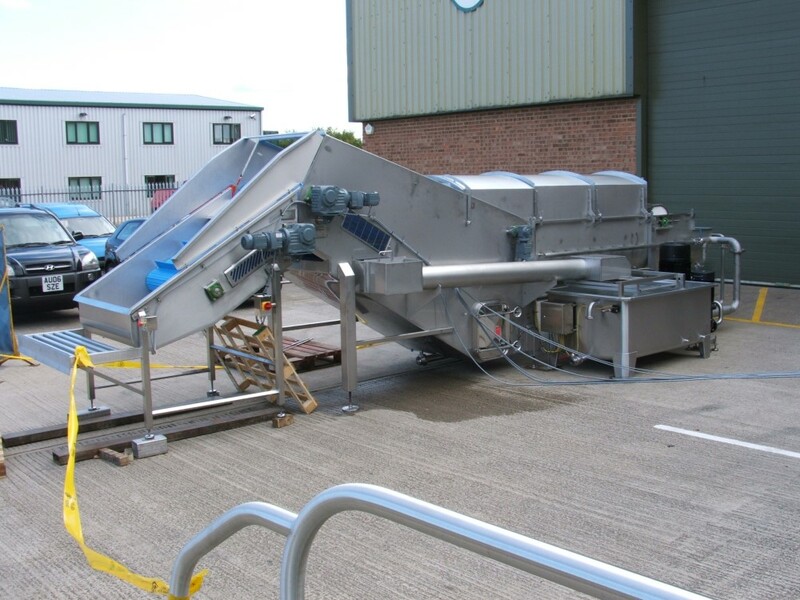 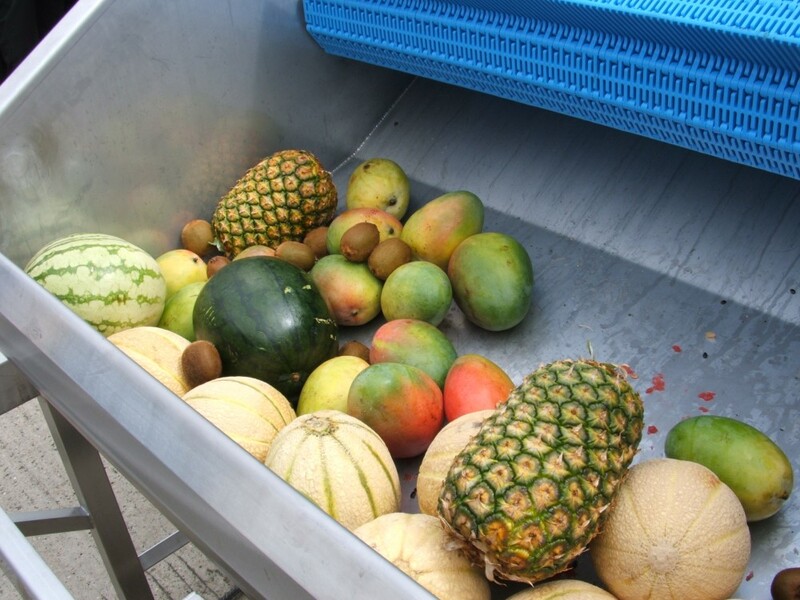 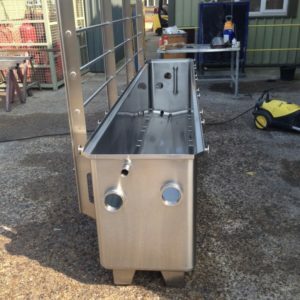 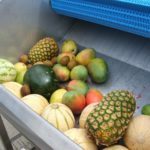 The unit Shown is designed to fully submerge a variety of whole fruit including melons, pineapples, oranges, lemons, apples and kiwis in cold water dosed solution. 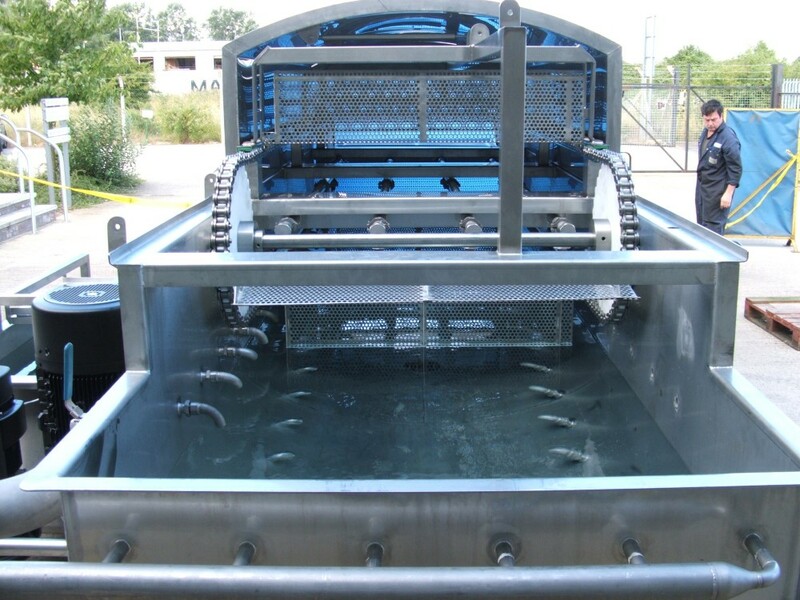 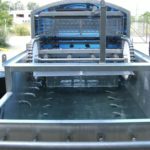 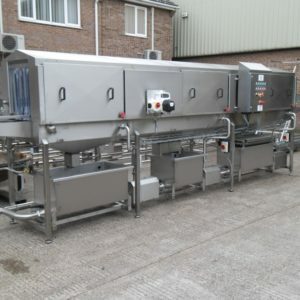 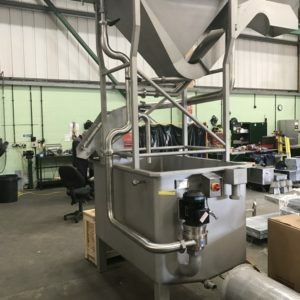 A stainless steel chain belt with paddles positioned directly above the water level pushes the product under the water as well and conveying It through the water bath as a controlled speed. 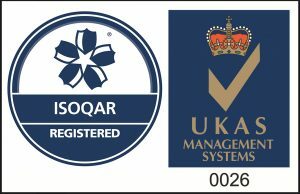 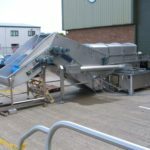 A pump pushes water through strategically positioned sparge pipes around the tank to create sufficient turbulence to wash the product, whilst an overflow system returns the water back via a flume through a filter system in the reservoir tank.